Having previously featured on Eskimo Recordings’ 2018 compilation ‘The Purple Collection’ as one half of Languages, Franz Matthews returns to the label alongside fellow Berliners Local Suicide with the ‘Meditation’. Despite living on the same street for 4 years Franz Matthews and Brax Moody and Vamparela from Local Suicide only met recently through their common friend Sam Berdah (Days of Being Wild, Club Bizarre). Making up for lost time, the trio soon found themselves bonding in the studio, digging into their love of both the esoteric and travelling, and together channelled those passions into 2 spiritually infused numbers. ‘Meditation’was the first result of this inspired partnership, appropriately recorded at the same time that Matthews was also recording music for a meditation app, and features a freeform stream of consciousness from Vamparela over a suitably hypnotic backing of wistful guitars and breezy rhythms. Between his production studio MOWD, his duo Languages, and his solo electronic project, Franz Matthews keeps himself busy. Making Berlin his hometown for the past 5 years, the Franco-German producer and DJ has always kept one hand in the Indie Dance world, while the other wanders in more Psychedelic Pop realms, a winning combination that’s seen him release music on imprints such as Eskimo Recordings, Days of Being Wild, Rockets & Ponies. Local Suicide, aka DJs and producers Brax Moody and Vamparela, meanwhile have made a name for themselves putting on some of the most infamous underground parties Berlin has to offer, running their acclaimed blog and still finding time to make waves with their productions, a wild fusion of new wave, acid, slow techno and post-disco that has seen them work with the likes of Rodion, Mijo and Curses in recent years. After a hugely prolific year for the Local Suicide duo, which has brought us collaborations with names such as Low Manuel and Mijo as well as DJ sets across Europe and Asia, they are joining the Mexican label Duro with a three-track EP as a joint effort with the label’s owner Theus Mago. This Mexican producer comes off the back of a similarly hectic year, most recently releasing the ‘Inertials’ single and the acclaimed ‘Ella’ EP, featuring remixes from Arthur Johnson and Il Est Vilaine. This collaborative EP is a masterful blend of styles, merging Local Suicide’s characteristic catchy techno-disco sound with the darker notes typical of Theus Mago. His signature style is that of freeform, synth-driven, moody techno that brings together intricately interwoven influences from across the spectrum of electronic music, providing a perfect foil to Local Suicide’s infectious rhythms. Mexican Dj & producer Mijo and Berlin duo Local Suicide collide in a wonderfully fresh and inventive collaboration on their latest EP ‘Edo Kai Tora/Ganz Falsch‘. Local Suicide, comprised of couple Brax Moody (Munich) and Vamparela (Thessaloniki), weaves in their signature blend of Post-Disco, New Wave, Jacking Acid, and Slow Dark Techno while Mijo injects his own stylings of the Latin Techno that he helped to define and create. The result is a spacious, energetic, and stunning product from start to finish. As the latest installment from San Francisco-based label Roam Recordings, which specializes in Dark Disco, Post Techno, EBM, and Acid, ‘Edo Kai Tora/Ganz Falsch‘ is an impressive sonic feat that will leave you dancing all night.The EP opens with the original ‘Edo Kai Tora‘, an infectious uptempo track with hypnotic, oscillating synths and an undeniable groove. Greek Vamparela of Local Suicide brings her voice to the track. The result is a sultry, spoken vocal that repeats the resounding phrase ‘Edo Kai Tora‘, which in Greek translates into ‘Here And Now’. The words themselves couldn’t be more fitting to the overall feel of the project, which has an extremely ‘in the moment’ sensibility to it. In ‘Ganz Falsch‘, Mijo and Local Suicide revitalize the electronic boogie, keeping things light and fun with a warbling bass hook juxtaposed with a playful, spitting rhythmic vocal.Supporting the EP, Berlin-based DJ/Producer Sascha Funke along with Moscow Duo Simple Symmetry lend their talents to create standout reinterpretations of both title tracks. Where Sascha Funke fleshes out the darker, cosmic undertones of ‘Edo Kai Tora‘, Simple Symmetry mix in an extra kick of pop and funk sensibilities to the project by layering rhythmic, post-punk garage style guitars into ‘Ganz Falsch‘, bringing to mind the underground indie rock scene of Southern California. The project comes to a delightful close with an additional digital bonus track – an energetic dance version of ‘Ganz Falsch‘. As a whole, the EP is an electric, collaborative accomplishment of unique sonic character, versatile and exemplifying the best of each producers creative talents. ‘Edo Kai Tora/Ganz Falsch‘ is out now under Roam Recordings. My Favorite Robot welcome the collaborative outfit of Rodion & Local Suicide for their next EP, which comes boosted by remixes from Los Mekanikos, Moscoman and Fairmont, as well as artwork that is made up 3D prints of the act. Rodion is an Italian classical piano player and acclaimed producer whose albums and EPs for the likes of Gomma, Nein & Nang have helped to reshape modern disco. Also one half of Alien Alien and boss of the Roccodisco label, he is a real studio visionary who for ten years has mixed up classical, trance and psychedelic sounds. He makes everything from chamber music to computer game soundtracks, has remixed Giorgio Moroder and counts the likes of Tim Sweeney, Erol Alkan and DJ Hell as fans. 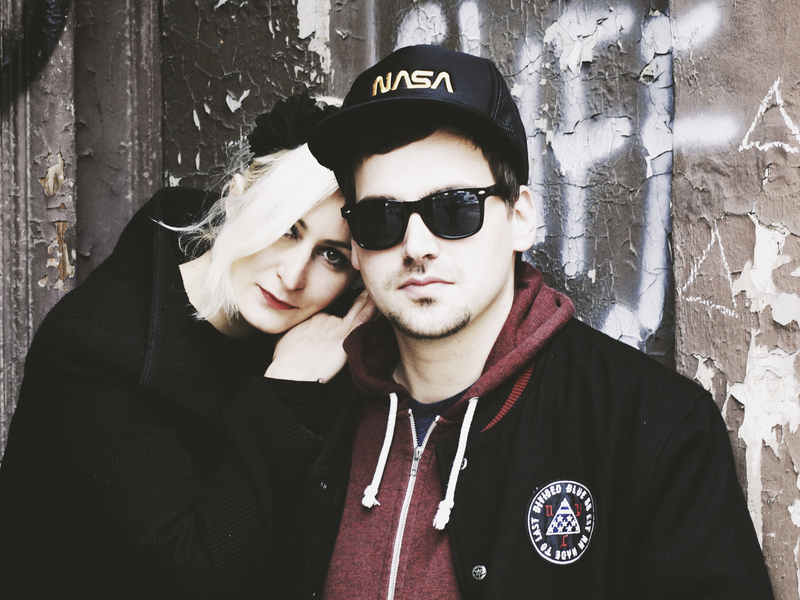 Berlin-based duo/couple Brax Moody and Vamparela aka Local Suicide have been collaborating together since 2007, either as a DJ duo, in bands, or as remixers and producers. They have played all over the world and are in favour with the likes of XLR8R, Thump and Mixmag for their fusions of slow techno, post disco and acid. These original analog tracks were recorded between 2014 and 2016 in Rodion’s vintage studio in Berlin. They came about when they all met following one of his gigs just after he moved there, and after being in touch online for a while. During one of the nights, Rodion brought friend, producer and singer Ali Bey (part of the Belgrade DJ collective Beyond House and a famous record digger) to contribute. Impressive opener ‘Abu Dhabi’ includes samples from field recordings from all over the world. The most prominent is the recording from an airport in Bangkok—where Brax Moody and Vamparela were waiting to catch their plane to Saigon—and it ended up being the main vocal hook. The alluring track is a wonky feeling number with gurgling synth lines and gentle releases of white noise lulling you into the groove. A searching synth line and distant siren add urgency and the whole thing feels urban and futuristic. Comprised of Mexico City producers Max Jones and Eddie Mercury, Los Mekanikos combine raw hypno-rhythm tracks with pumping grooves that pay homage to Chicago, Detroit and Berlin. Their special remix is another late night and unhinged number that encourages you to freak out amongst the panning and paranoid synth patterns and robotic grooves. Then comes the brilliant ‘True Love Floats’ with Ali Beys singing and Vamparela’s vocoded vocals. The interplay between the two is tense and alien and makes for a perfectly inhuman groove with popping bell sounds, undulating pads and spooky deep space ambiance. Remixing this one is Berlin via Tel Aviv artist of the moment and Disco Halal label head Moscoman, whose raw machine grooves have impressed on labels like ESP Institute, Correspondant and I’m a Cliche. His slow and purposeful version is deep and psychedelic with disorientating vocals and blistered synths wallowing in a menacing urban landscape. Buy it digitally and you will also get a fine remix from label regular and Canadian Fairmont. He is a partner in the fine Beachcoma label, has worked with cult outlet Border Community over the years and mixes up dark disco and goth into his own fresh sounds. His remix here is more direct and driven, with powerful drums and well sculpted synths making it another great rework. This is a unique sounding package featuring plenty of heavyweight names and marks another cultured outing from the always considered My Favorite Robot label. 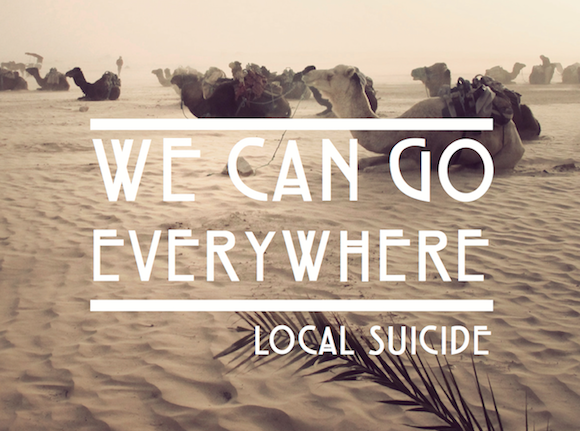 Berlin-based Greek/German couple & duo Local Suicide just revealed a video for their new catchy disco-house single ‘We Can Go Everywhere’, which was released via Bordello A Parigi on August 4th 2014. The video is divided in two parts, the first part is scenes from the duo’s travels around EP release in France, Poland, Sweden, Greece, UK and Germany. The second part is friends which they met through music and travels all over the world. The video was directed by awarded Greek film-maker Dimitris Argyriou. Finally, the debut EP ‘We Can Go Everywhere’ by Greek/German couple & duo Local Suicide is out now via Dutch Italo-Disco Label Bordello A Parigi . With remixes by In flagranti (Kitsuné, Phantasy, GOMMA, La Belle, Domino), Richard Rossa (Discotexas, Young Society) & Inigo Vontier (Correspondant, NANG, Pizzico, Turbo) and its catchy hookline, the track is turning into one of 2014’s disco-house summer hits! Stream the full EP below. Order here. In case you missed it, download for free the Richard Rossa remix here. Berlin-based couple Brax Moody (Munich, Germany) and Vamparela (Thessaloniki, Greece) aka Local Suicide, have been playing music together since 2007, either as a DJ duo, in bands, or as remixers and producers. 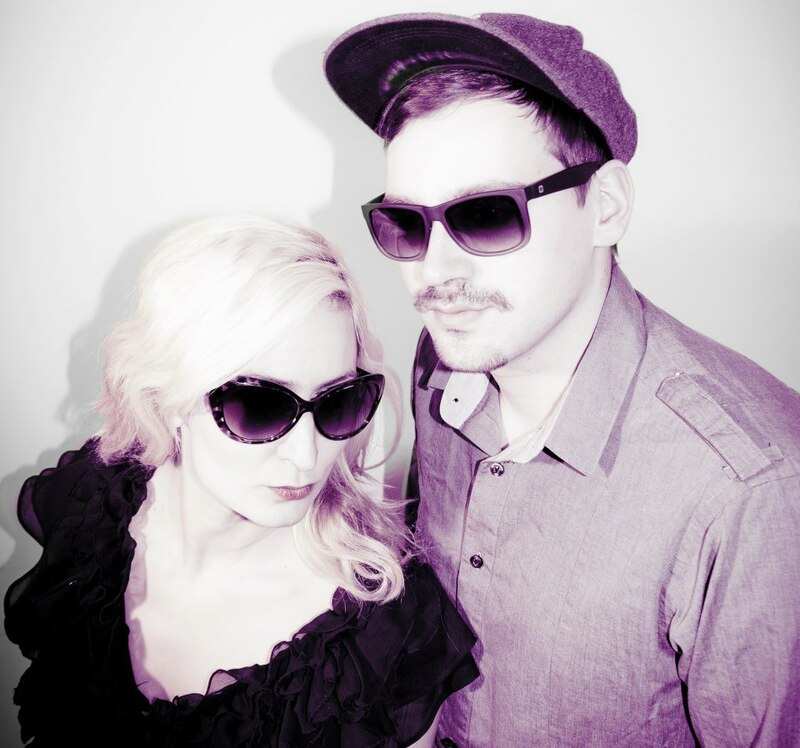 The duo will issue its debut release on June 24th 2014. The four-track “We Can Go Everywhere EP” will offer the pair’s synth-indie-dance original track of the same name, along with three remixes by the likes of In Flagranti, Iñigo Vontier, and Swedish producer Richard Rossa, whose playful rework is available for free download here via XLR8R.